Unlike the pet chains, such as the stocks,the barns, the O’S and warehouses etc, we have an old school charm from being an original, family owned Sydney pet store for almost 40 years. With our new location, we not only have competitive pricing, but stock a greater variety of specialty products, QUALITY feed and accessories that the chain stores do not carry. Welcome to Birdsville pet supplies! Our enormous family owned well stocked specialised pet shop is open 7 days a week and now we are stocking even more, with bird, dog, cat, fish, reptile and small animal food, products and accessories – all at warehouse prices. Birdsville specialises in premium and exclusive brands – all at warehouse prices. Birdsville continues to be the pet shop leader in small animal and bird products, feed, health care, educational toys, cages/habitats and knowledgable service. We provide all your pet and bird needs, including bird and small animal boarding, wing/nail clipping, gift vouchers and more. And there is customer parking! Look for our bright ‘sunshine yellow’ building and the huge Birdsville banner on the corner of Botany Road and Gardeners Road, Alexandria – we are hard to miss! With The biggest range of small animal, reptile and avian products in Australia [txt-logo][/txt-logo] is sure to stock the item you need! Our big new shop, our stock and product range is more diverse, bigger and better than ever. [txt-logo][/txt-logo] is the one stop shop for all your pet needs. We are stocking more premium and exclusive brands than ever before. The perfect gift for animal lover – Birdsville Gift Certificates! 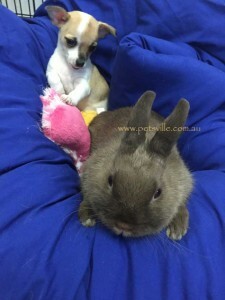 Please note [txt-logo][/txt-logo] is a one stop pet shop that sells all pet products and food (bird, dog, cat, fish, reptile and small animal), however we do have birds, small animals, Rodents and aquarium live fish. Birdsville has the best reputation in Sydney for having the best Quality feed and products with a knowledgeable team. With over 35 years of experience and operation, Birdsville is the leader in bird care and excellent advice in sales in all aspects of your pet bird needs. Birdsville stock only the best brands in food, health care products, educational toys, cages and accessories. Many brands we will not sell if we deem the product not of high quality. It is essential that good advice is required when you are purchasing a household pet that will be apart of your life for many years, it is a living creature that requires love and care. Please ask the Birdsville team after purchase for guidance in store or you can find this advise here on our webpage – which is regularly updated. 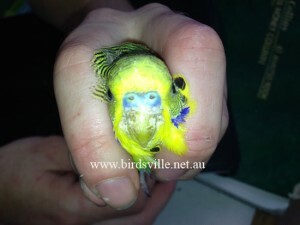 Birdsville also has a bird and small animal minding service, wing and nail clipping service. 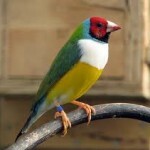 This is truly Sydney’s renowned one stop bird shop for bird lovers since 1985 – the bird experts of Australia. Please note: We are now stocking dog, cat, fish and reptile food and products at warehouse prices and have an enormous selection of products. including exclusive and premium brands. We look forward to welcoming you and showing you around.